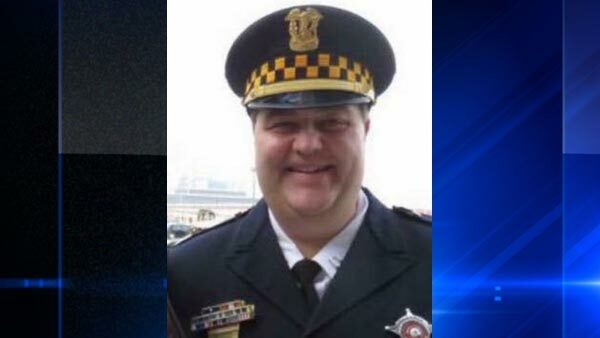 CHICAGO (WLS) -- A Chicago police supervisor died after being found unconscious in his squad car early Sunday morning, Chicago police said. The 5th District supervisor, identified as 50-year-old James Lavoy, was found unconscious around 12:10 a.m. on Interstate 94 near Stony Island Avenue and taken to Trinity Hospital where he was pronounced dead. Police said there were no signs of trauma and the supervisor may have had a heart attack. Chicago Police Superintendent Eddie Johnson spoke about Lavoy Sunday afternoon and said Lavoy has always remained steadfast and true to his oath as a police officer. Johnson said Lavoy had over 66 awards and honorable mentions. "We will never, ever be able to replace him, but Jimmy you are and forever will be part of the Chicago police family. I pledge to you that we will always be there for you, and we will never forget what he contributed to the city of Chicago," said Johnson. Johnson said an Illinois Department of Transportation official found Lavoy early Sunday morning. Johnson spent time with Lavoy's wife and two college-aged children at the hospital. "When you lose someone unexpectedly, it's a shock. His wife was very distraught, heartbroken. All I can think about it, think about her, what do you say? All we can do is be there for them," he said. Johnson said the majority of officers are great people, and Lavoy was no exception. "Police officers are people too, people look at us like machines and robots and they want us to be perfect and we're not, we're people. That incident...humanized the police department. The majority work hard for CPD. Jimmy was definitely that guy. He had a great spirit. All of us knew and worked with him really well," said Johnson.